CEO InSights is an event series featuring topic presentations by local presidents, CEOs and other community leaders in an intimate, studio-type setting. The goal is to share personal and timely insights on critical topics including leadership, innovation, culture and more. 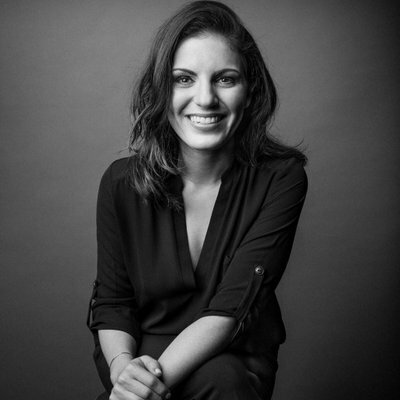 In this session, Kristen Hadeed shares the story of how she went from being an almost comically inept leader to a sought-after CEO who now teaches others how to lead. When she launched her company while in college more than a decade ago, she didn't have any leadership experience: Giving out hugs instead of critical feed­back, fixing errors instead of holding people accountable, micromanaging instead of empowering, and hiding behind emails instead of cultivating meaning­ful relationships were just a few of her many mistakes. But Kristen's willingness to admit and learn from her mistakes propelled her to build a successful company that has since employed thousands of millennials and is widely recognized for its focus on building the next generation of leaders. Kristen dismisses the idea that leaders have it all figured out. 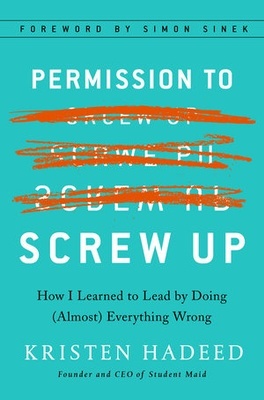 Centered around the themes in her book, Permission to Screw Up, she'll inspire people at every level to reach their leadership potential, no matter their experience or rank on the totem pole. Register to Attend - Seating is Limited.